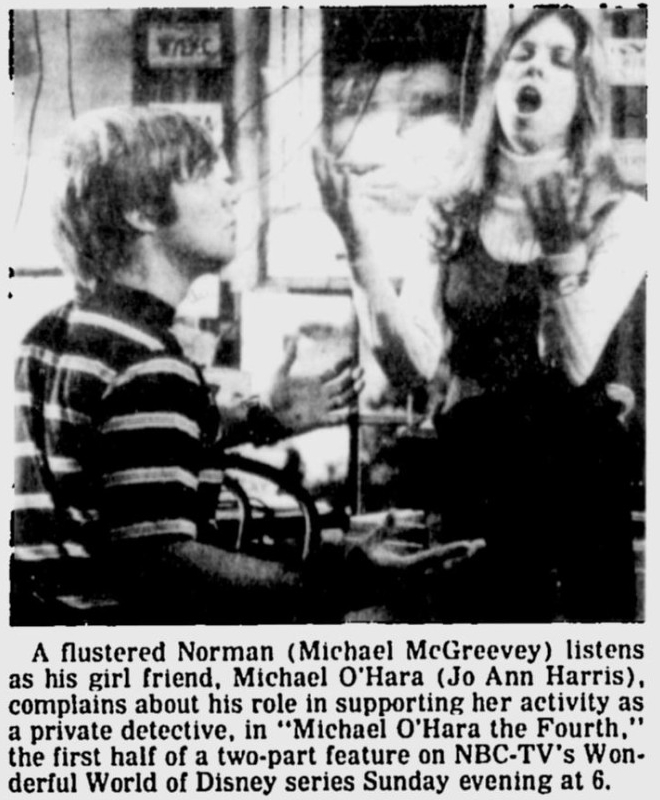 In 1972, Jo Ann Harris starred as Mike in Michael O'Hara the Fourth, a two part production from "The Wonderful World of Disney" series. The plot revolved around a girl who represented the fourth generation of a family of male police officers. While too young to be a cop, she still feels the need to be an amateur sleuth and takes it upon herself to try to help solve the crimes her father is investigating. The lovely Jo Ann Harris plays the role with great exuberance and is highly watchable as the cute teenage girl detective. Though 22 years old at the time, the actress looked young enough and certainly had the high-energy level to pull this off. 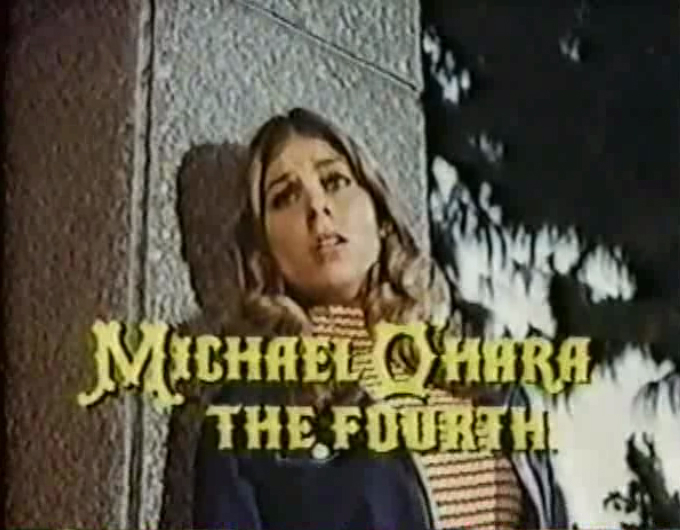 After watching the two 45 minute segments of Michael O'Hara the Fourth I really felt that it would have made a great regular series. 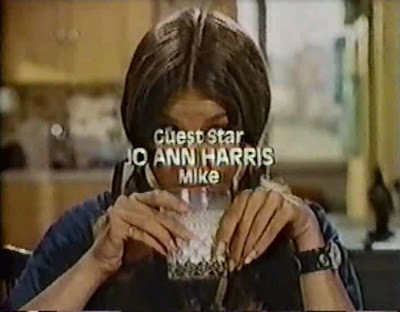 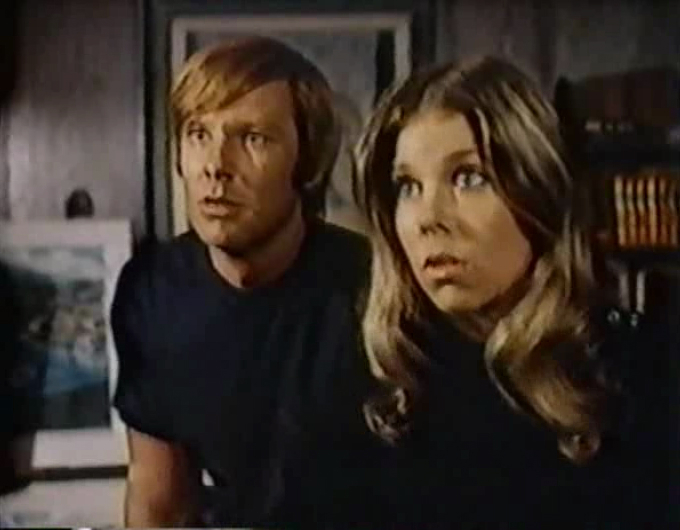 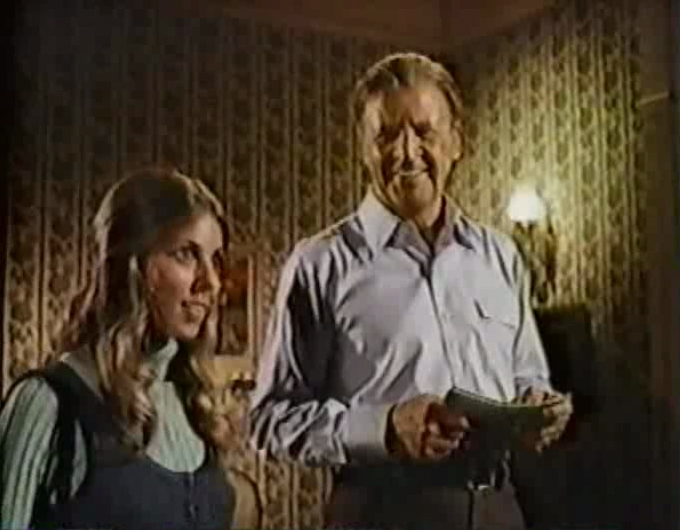 The show had a fun premise, great chemistry between the stars (Jo Ann Harris shares many scenes with actor Michael McGreevey who played the geeky Norman) and Jo Ann Harris is a delight to watch (if the '70s Nancy Drew series had started a few years earlier she would have been perfect for it). 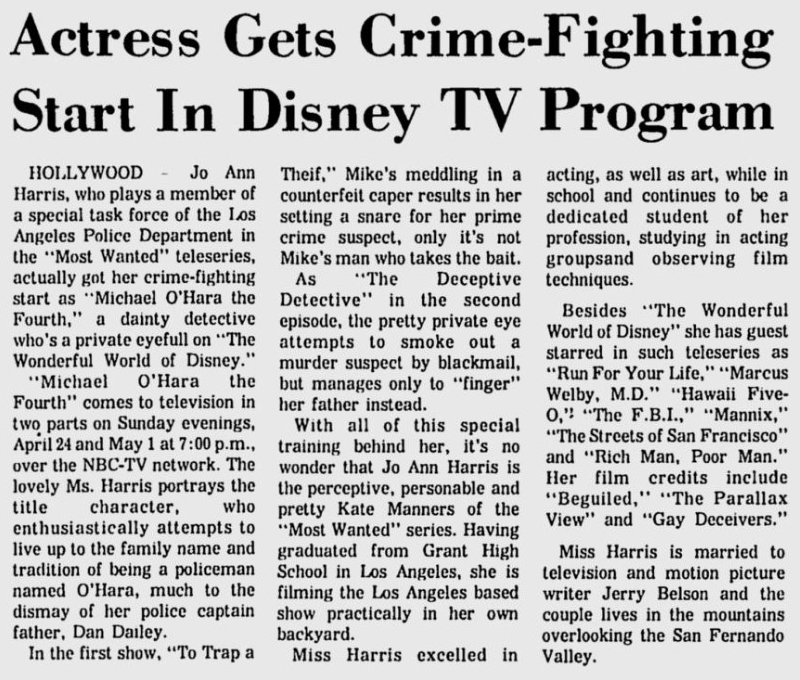 It also would have been nice for Jo Ann Harris to have her own TV series (several years later she was part of the cast of the TV show Most Wanted but that was sadly cancelled after one season) instead of being the perpetual guest star of varying stature.